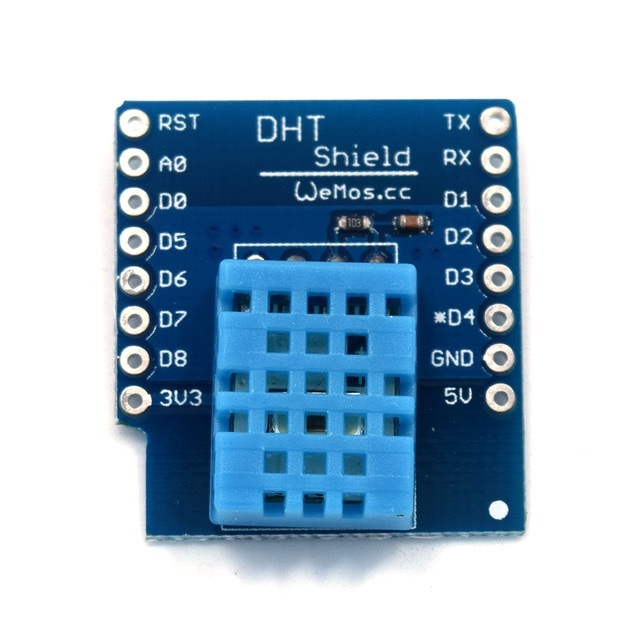 From the Wemos DHT11 shield specs the DATA OUT pin is connected to D4 of the Wemos. Note: this is ONLY for v1.0.0 of the DHT11 shield, since v2.0.0 uses I2C and pinned differently. 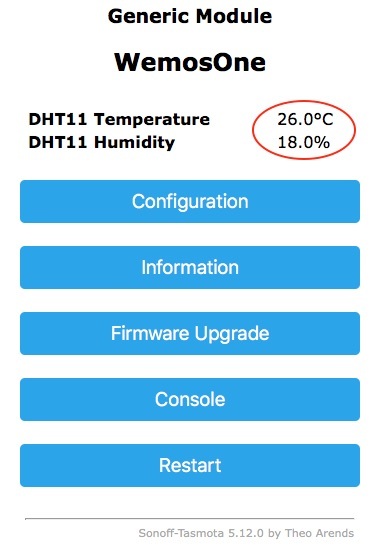 After reboot of the device the temperature and humidity are displayed. Number DHT6_Temp "Bathroom DHT-6 [%.1f °C]"
Number DHT6_Humidity "Bathroom DHT-6 [%.1f %%]"
Number DHT6_RSSI "DHT-6 RSSI [%d %%]"